We have had the most wonderful Easter half term and what better way to end it, then to celebrate our last Friday of the half term with a mini party with Pablo The Pug. 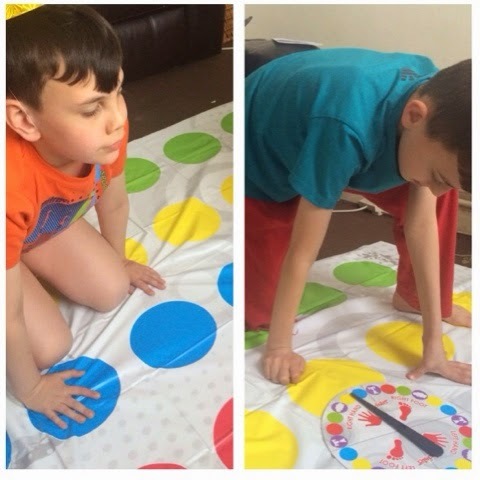 With the help from ASDA we gathered together for some fun family and games and of course no celebration would be complete without cake. 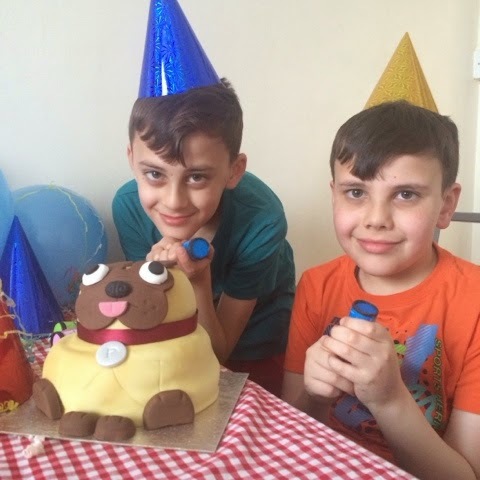 Pablo the Pug is an awesome NEW celebration cake which had just been launched by ASDA, This cute looking Pablo The Pug cake not only looks amazing but it tastes absolutely delicious. 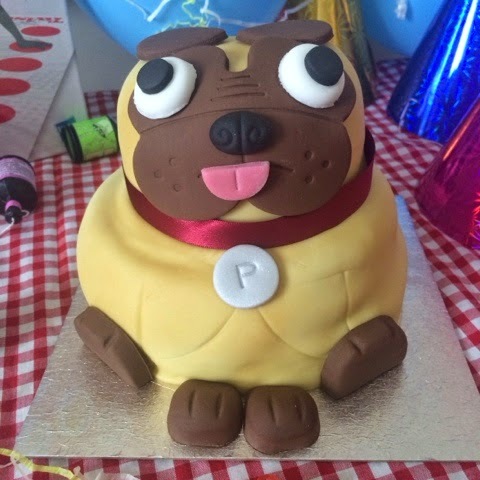 Made with a delicately soft sponge and filled with delicious buttercream and raspberry jam, covered and decorated with soft icing and edible decorations, Every party most defiantly needs a Pablo Pug cake. We really love this awesome cake, it defiantly had to be on of our all time favourite cakes, normally most celebration cakes come flat with imprinted images or 2D icing but this cool cake looks amazing and tastes delicious. 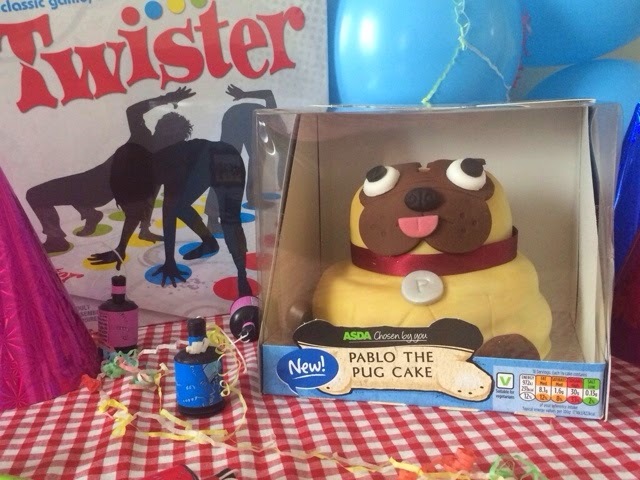 why not party with Pablo The Pug only available at Asda online and instore for only £10. Pablo loves a party... dancing, eating cake, pinning tails on (paper) donkeys... What's not to like? One day, Pablo had a problem - he'd been invited to two parties at once! He didn't know what to do so he put his thinking party hat on and tried to come up with a solution. 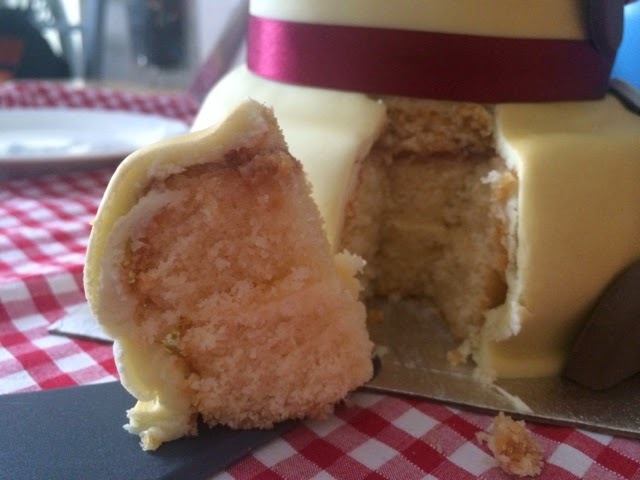 After hours of thinking, Pablo dreamed up the perfect answer - cake! He trotted into the kitchen, put on his pinny and baked the world's yummiest, scrummiest cake and decorated it so it looked exactly like him. 'Now I can go to both parties!' laughed Pablo. 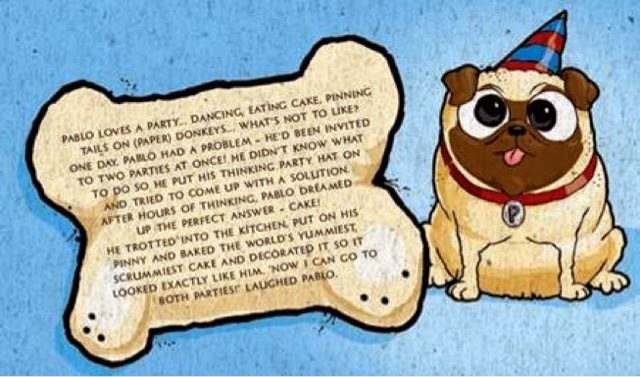 We were given Pablo The Pug cake to taste and share, All thoughts are honest and of that of our own.